French Country Dining Table Inset Stone Design! 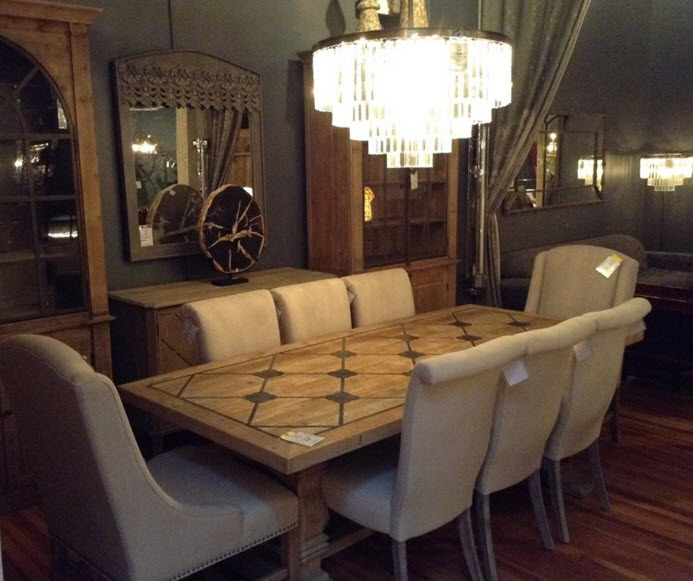 The French Country Double Pedestal Trestle Dining table is beautifully handcrafted with hand cut inset stone in a quatrefoil design. 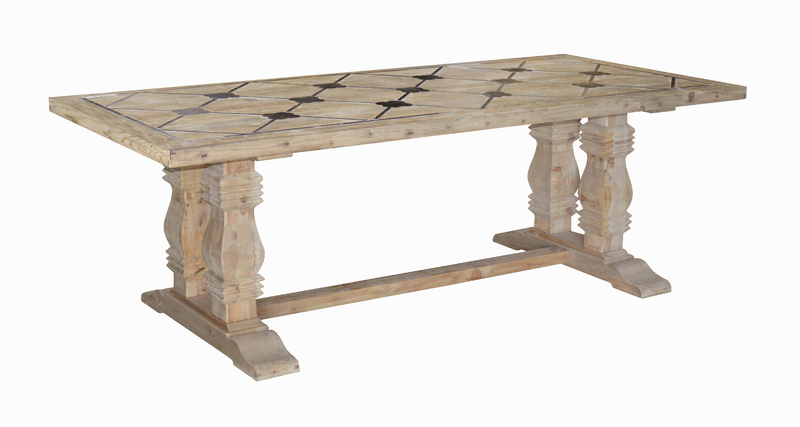 This dining table has an impressive double pedestal base made of reclaimed wood (pine) and it will entertain for your family and guests for years to come. Distance between legs 56". Overhang on each end is 12"
Expect variations and imperfections since the stone is hand cut, inlaid, and table is made of solid reclaimed wood.